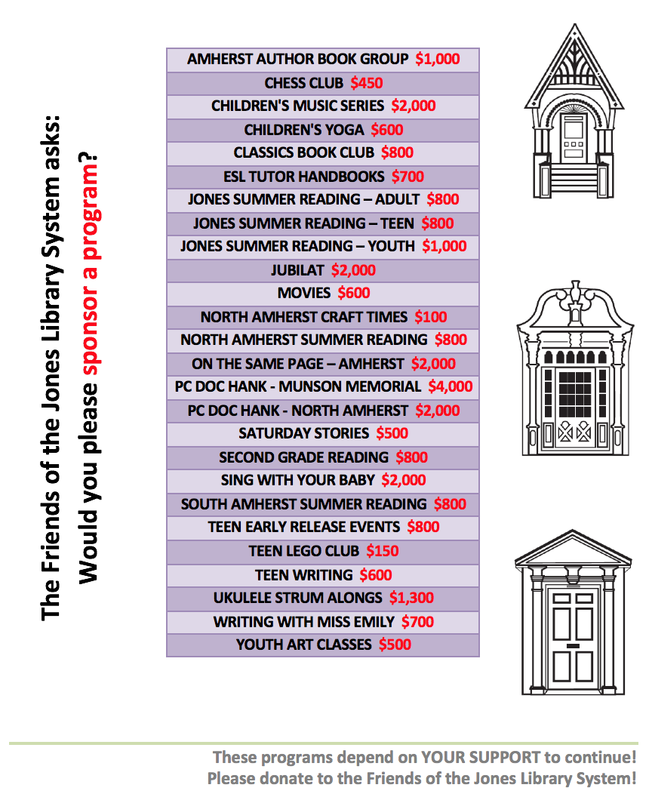 Friends of the Jones Library System News: It’s a Great Time to Return Overdue Library Materials! It’s a Great Time to Return Overdue Library Materials! The Jones Library and branches will be offering an amnesty period from January 9 – 31, 2017 for library patrons who return overdue library materials. Library patrons are encouraged to bring a non-perishable, non-expired food donation for the Amherst Survival Center when they return overdue library materials during this time. For further information about returning overdue items, please contact Amy Anaya at 413-259-3132.